Your December 19 article, “As Mexico claws towards prosperity, some in middle class slide back”, all too accurately reflects the socio-economic status engulfing many Mexicans today. 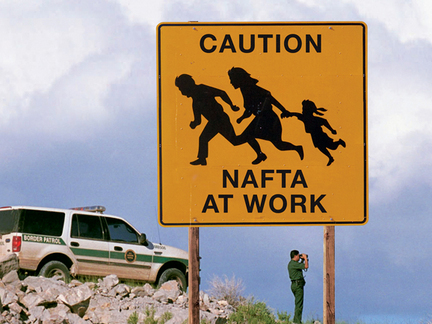 Much of this is due to the widespread negative impact of much of the North American Free Trade Agreement (NAFTA), however, which has contributed to a variety of trade and agricultural hardships. While I agree with your assertion that the rate of upward social mobility in Mexico is disappointingly slow, it must be noted that a primary cause of the country’s “anemic growth and lingering inequality” are byproducts of that could have been anticipated by the enactment of NAFTA. The unfavorable trade partnership between the two countries has lead to an influx of unfavorable ties with the U.S. that often did not achieve the best deal for Mexico. This often meant witnessing a decline of domestic business prosperity, with its low wages and further dependence on U.S. consumption patterns and its skewed demand for Mexican business opportunity. Regarding its primary sector, Mexican agriculture has long suffered from competition from the subsidized U.S. agricultural sector, and has suffered further adversity from NAFTA’s tendency to dismantle trade barriers that have inadequately protected Mexican farmers, generating an estimated loss of 1.5 million agricultural jobs by 2006. Furthermore, the U.S. financial sectors recession of 2008 only served to deepen the severity of Mexico’s financial pain. It is important to comprehend the lack of improvement in Mexico’s socio-economic solidity, especially when it was more recently experiencing an annual GDP growth of 3.9 percent. However, a primary cause of this stagnant movement, NAFTA, must also be discussed when describing the lack of prosperity for many Mexicans.